The global lyophilization/freeze drying equipment market size was valued at US$ 2,116.5 million in 2017, and is expected to exhibit a robust CAGR of 6.5% over the forecast period (2018 – 2026). Increasing number of drug development process and biopharmaceutical research is a major factor augmenting growth of the market as lyophilization is widely used for pharmaceuticals/ biopharmaceuticals to improve stability, thereby achieve adequate shelf life. Lyophilization or freeze-drying is vital process in developing and manufacturing unstable and sensitive pharmaceuticals, as they aid in introducing new pharmaceutical to market. Biopharmaceuticals are produced by genetically modified organisms and are temperature sensitive complex molecules, which require gentle freeze drying with the lyophilisation process to attain adequate shelf life. According to the survey by Martin Christ GmbH, around 60% of the biopharmaceutical products, such as special cancer treatment substances and antibodies, require freeze drying for attaining efficient results in clinical trials. Also, increasing number of global biopharmaceutical companies is expected to boost market growth over the forecast period as these companies are highly dependent on lyophilization due to wide availability of biologics, which include vaccines, blood components, somatic cells, gene therapy, tissues, and recombinant therapeutic proteins. According to Pharmaceutical Research and Manufacturers of America (PhRMA), 2016, biopharmaceutical companies are focused on developing drugs for treatment of diseases such as cancers which has 1,919 medicines in development, 563 medicines for cardiovascular diseases and 1,123 medicines for immunological disorders, which require recombinant proteins for various stages for drug development. Also, according to Pharmaceutical Research and Manufacturers of America (PhRMA), 2016, member companies invested an estimated US$ 58.8 billion in research and development in 2015, which was the majority of all biopharmaceutical R&D spending in the U.S. Moreover, according to the survey by Future Science Group, 2016, injectable products are majorly selected as formulations for new therapeutics. However, liquid formulations often enhances degradation through hydrolysis. Thus, lyophilization/ freeze-drying is regularly used in pharmaceutical manufacture to reduce water activity and assure product stability. The lab-scale freeze dryers are used in R&D prior to a scale up, as moving a new product to commercial-scale manufacturing requires careful validation. Demonstrating batch uniformity is an essential part of this critical process. 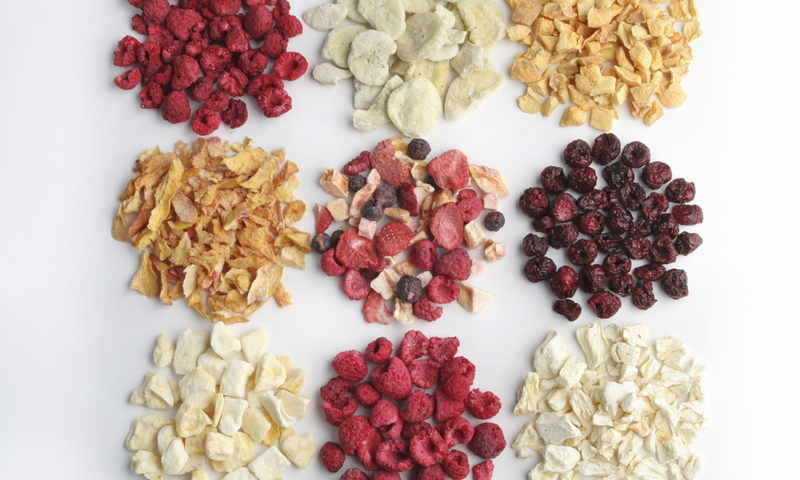 Moreover, freeze-drying has created novel opportunities in the area of oral drug delivery, where the properties of the drugs, excipients and characteristics of the final solid dosage form can be modified by the freeze-drying process. Asia Pacific region is estimated to witness significant growth in the market, owing to increasing number of research laboratories and pharmaceutical companies with increased expenditure on research and development in this region. For instance, according to the National Bureau of Statistics, February 2018, China’s expenditure on research and development increased by 11.6% in 2017 from 10.6% in 2016 reaching to US$ 280 Bn in 2017. According to the International Journal of Sciences, January 2018, China’s biotechnology sector is expected to exceed by 4% of gross domestic product by 2020, and is expected to develop around 10-20 life-science parks for biomedicine with an output surpassing US$ 1.5 billion. Major players operating in the global lyophilization/freeze drying equipment market include Thermo Fisher Scientific, Inc., Millrock Technology Inc., Zirbus Technology GmbH, SP Scientific, Azbil Telstar, S.L., Biopharma Process Systems Ltd., LTE Scientific Ltd., Martin Christ GmbH, GEA Group, and Cuddon Freeze Dry. Coherent Market Insights is a prominent market research and consulting firm offering action-ready syndicated research reports, custom market analysis, consulting services, and competitive analysis through various recommendations related to emerging market trends, technologies, and potential absolute dollar opportunity.